Small yards present challenges to homeowners who dream of installing a pool. 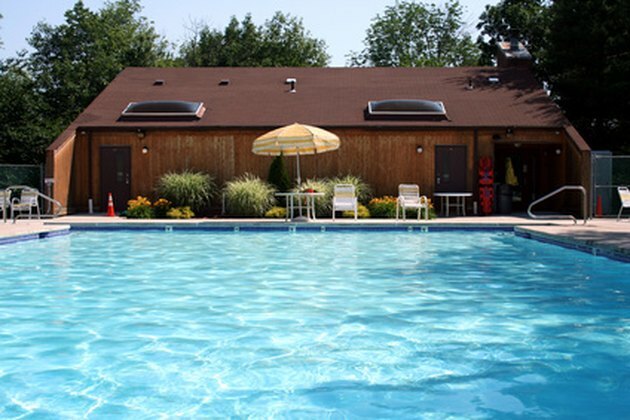 For many homeowners, challenged by asymmetrical property lines and limited ground, there simply is not enough room for a traditional swimming pool. Thankfully there are small space alternatives for backyard pools. 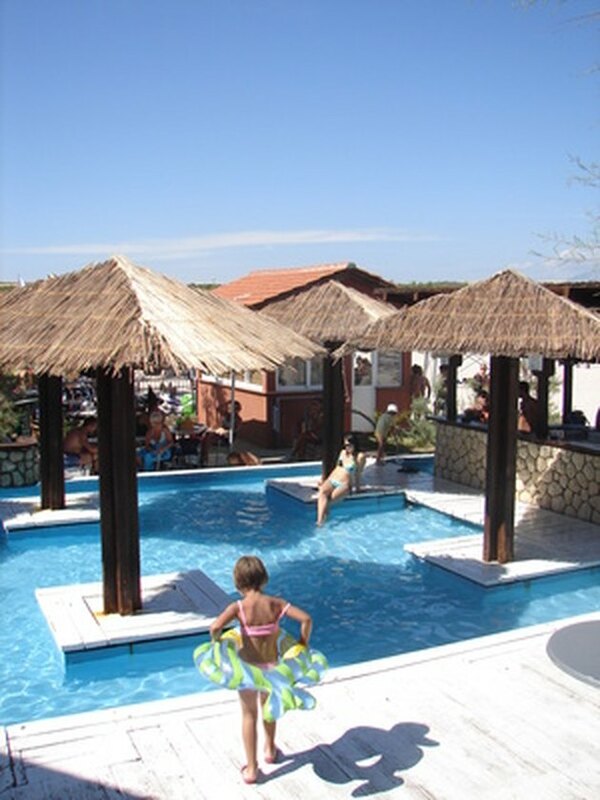 Pools in mini sizes, custom shapes, and original designs are all possibilities. These creative ideas can help make the most of a little backyard. For homeowners looking to utilize small backyard spaces, installing mini pools is a very practical option. While not large enough for swimming laps, mini pools are great for dipping, soaking and lounging when the weather turns hot. A pool that sits half below and half above the ground will take up less visual clutter than a pool that is set completely above ground, and is a good alternative for a tight space. Creative repurposing of steel tanks and small dumpsters can also be done tastefully to create earth friendly mini pools. If a completely below ground pool can be accommodated, a small circle shaped mini pool blends nicely into the landscape and takes up very little room. 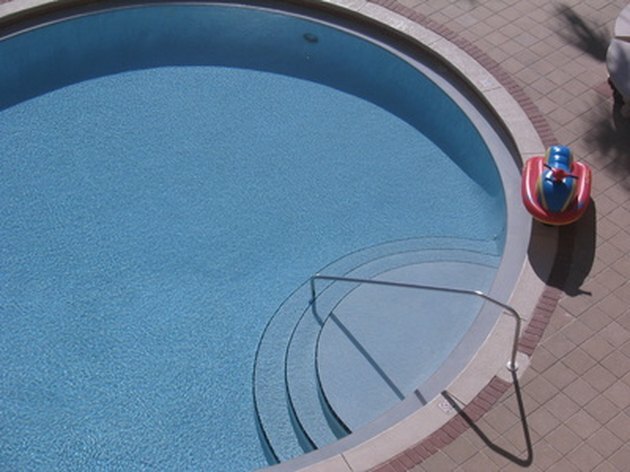 With proper plumbing, mini pools can also double as hot tubs in the chilly months. Rethinking the shape of a pool can accommodate small backyards that can not spare the space for a traditional pool composition. 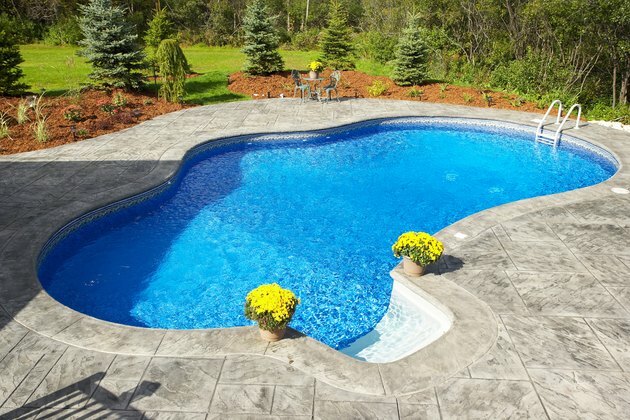 Rather than installing an oval-shape pool at the center of the yard consider modular geometric shapes that can be installed in a corner or off to one side. A long, skinny rectangle-shape pool along the far back of the yard would leave more space for landscaping and entertaining in front, and could still function as a lap pool. Pools configured into shapes like the letter E or L could make a smaller pool feel bigger than it really is, while accommodating the space demands of quirky property lines and patio borders. Custom shapes can make pools more feasible in small spaces. Just as an infinity pool tricks the eye into believing a pool has no edge, homeowners can attach super shallow wading areas to their pools to visually stretch the size of the pool. Extending a patio deck over the edge of a wading pool is super chic and allows the smaller deeper section of the pool to appear quite a bit larger. This design trick allows homeowners to have access to a deck space as well as a small pool all within a compact yard. Similarly, building a pagoda that stands inside and above the wading area of a pool makes for a super exotic space saver. By incorporating entertainment and patio space within the boundaries of the pool, the pool can become a bigger statement in the yard. Tina Lane is a freelance writer and blogger in the Cincinnati and Dayton area. Her work has been published in the Eastsider Magazine, The Voice of the Miami Valley, and various online media. She blogs at FloridaGirlMeetstheMidwest.com, where she has been writing for two years. Tina is a Rollins College Alumni.